Perhaps you can blame the lingering cool weather on me. Up until this week, I had yet to take my winter wreath off of my front door. This was mostly because I didn’t have anything to replace it with. So with a little trip to JoAnn, I bought a few materials for less than $15 that will take my front door through the warmer months. 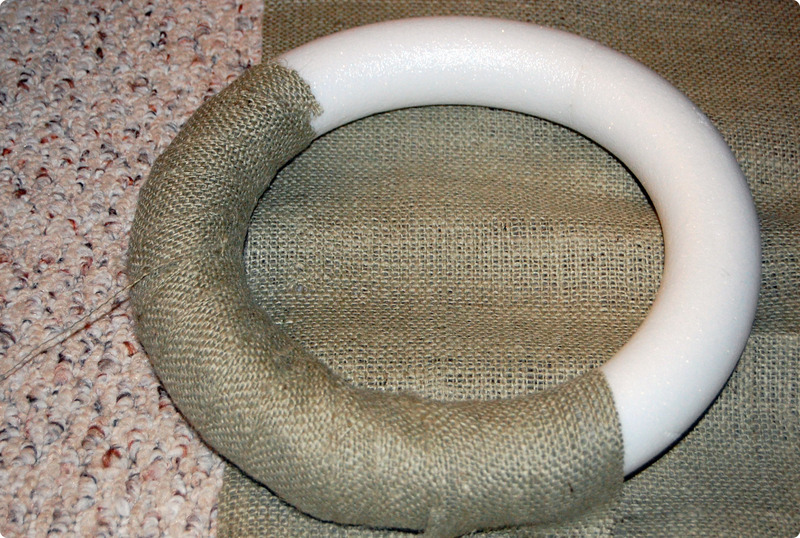 I still incorporated the yarn that I loved from my winter wreath, but added more of a rustic element using a sage colored burlap. Super easy! 1. 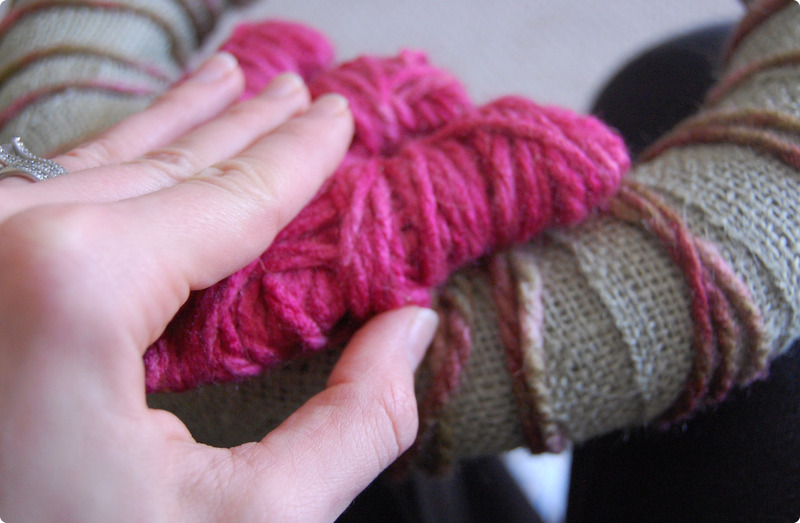 Start by cutting a few strips of burlap, about 3-4 inches thick. 2. 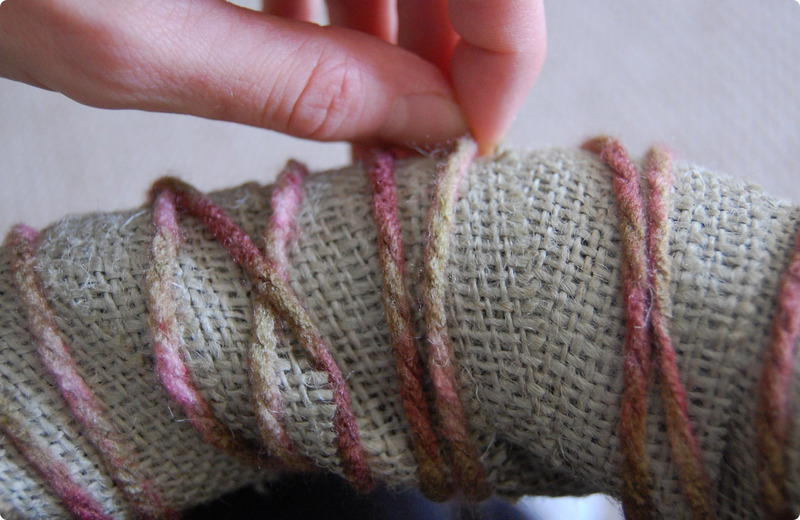 Wrap the burlap around the wreath form, holding it in place with a few stick pins as you pull it tightly around the form. 3. 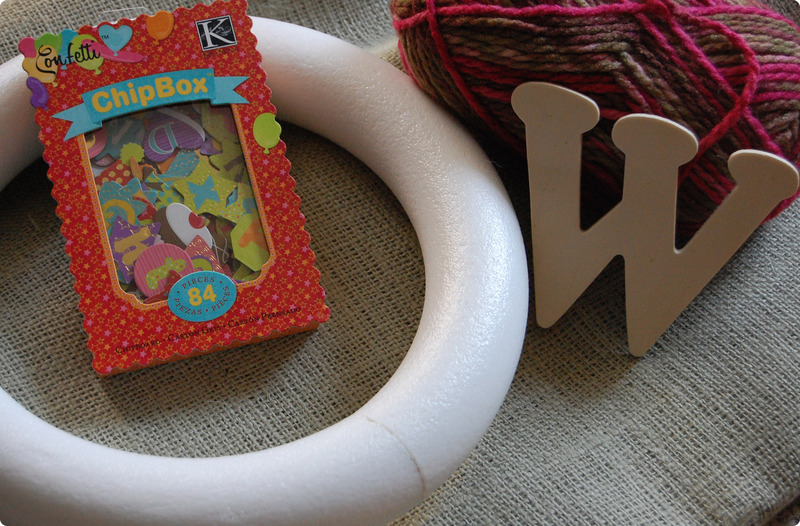 Wrap yarn around the wooden letter. 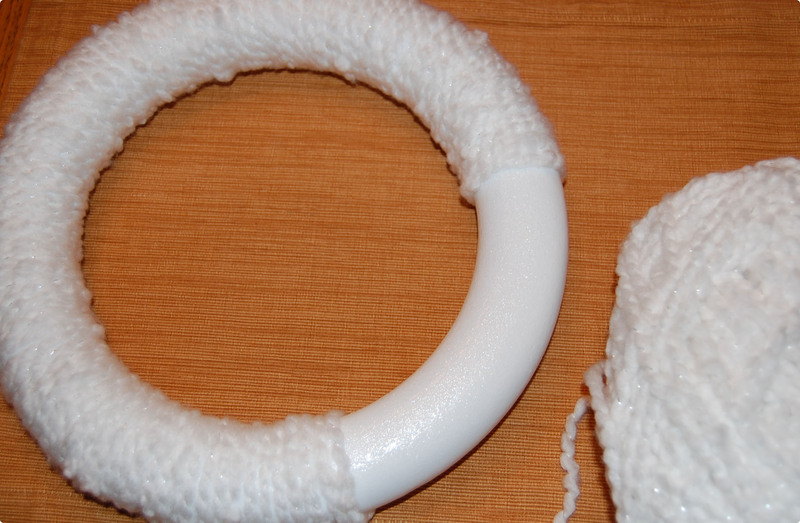 Depending on the shape, this can be tricky in spots (like the bottoms of the W) but you should be able to move the yarn around to cover up any open spots. 4. Put 2-3 stick pins through the yarn on the back of the letter and insert the pins into the form. 5. 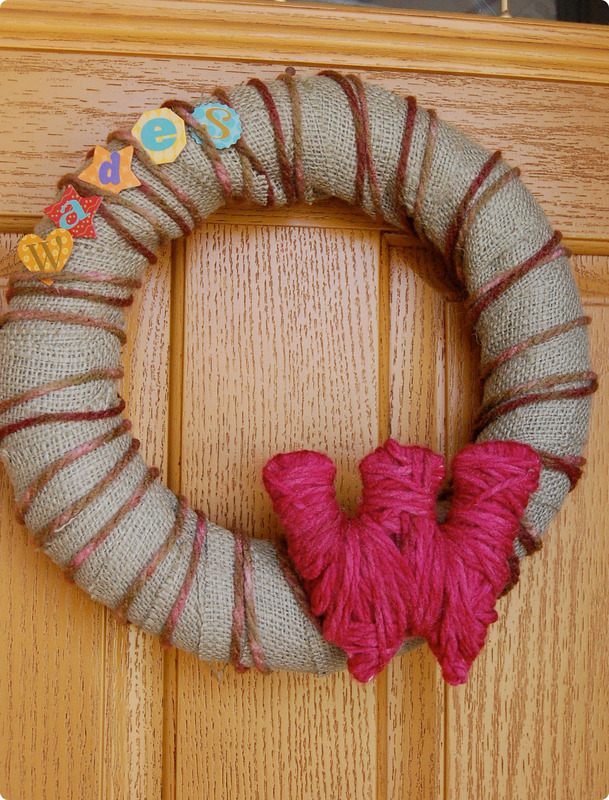 Wrap yarn around the wreath form until you are pleased with look. 6. 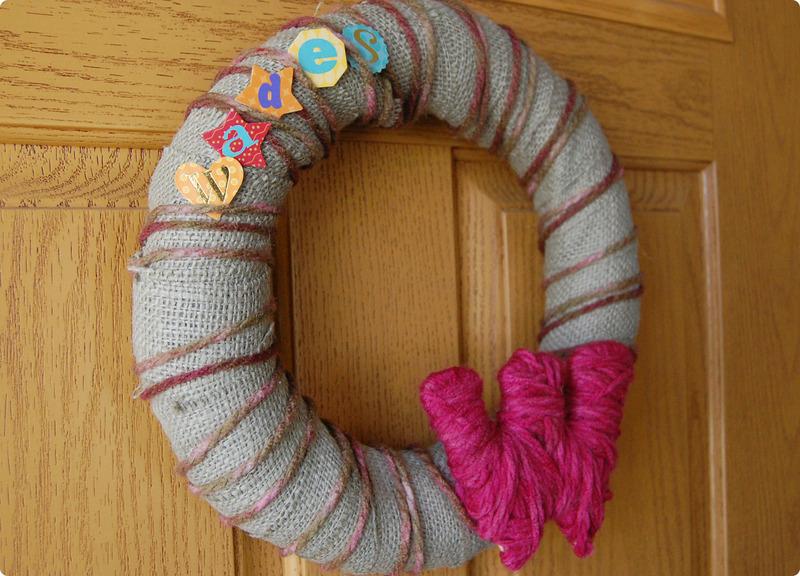 Using chipboard letters, spell out your last name and affix letters to the wreath using a small dab of Krazy Glue. 7. 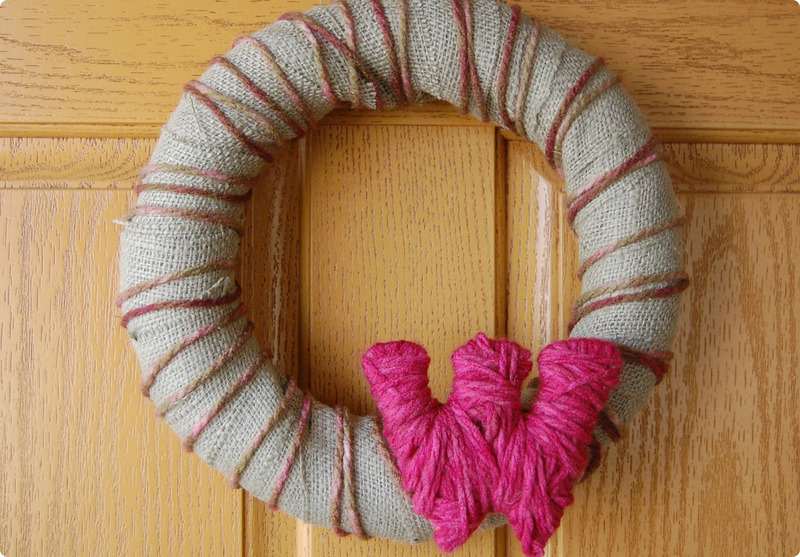 Either hang the wreath on a door hanger, straight to a nail, or twist a little floral wire into a loop and affix it to the back of the wreath with a pin.